In many American cities, the urban cores still suffer. Poverty and unemployment remain endemic, despite policy initiatives aimed at systemic solutions. Rashmi Dyal-Chand's research has focused on how businesses in some urban cores are succeeding despite the challenges. Using three examples of urban collaborative capitalism, this book extrapolates a set of lessons about sharing. It argues that sharing can fuel business development and growth. Sharing among businesses can be critical for their economic survival. Sharing can also produce a particularly stable form of economic growth by giving economic stability to employees. 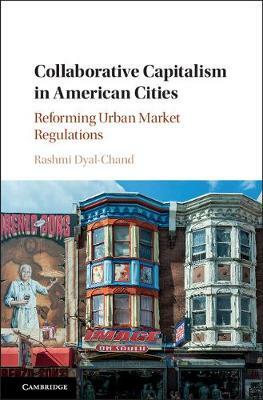 As the examples in this book show, sharing can allow American businesses to remain competitive while returning more wealth to their workers, and this more collaborative approach can help solve the problems of urban underdevelopment and poverty.